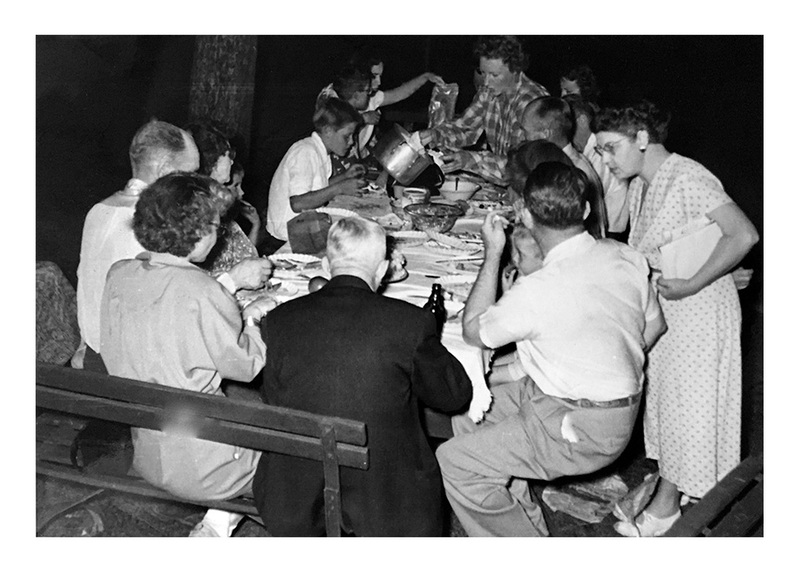 This picture was taken at the Joseph E. Hadley family reunion in the 1940's. Joseph is sitting at the near bench with his back to the camera in a dark suit coat. Lerona S. Hadley (Jay I. Hadley's mother) is seen at the top with a pot in her hand. These are the only names known at this time. I am looking for someone that can add to the names in this picture.